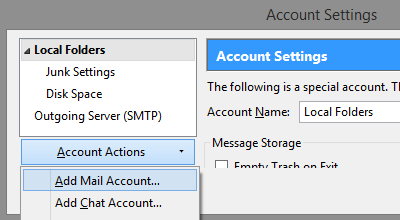 Let’s go ahead and open Thunderbird, select Tools, Account Settings, Account Actions, and then click Add Mail Account. 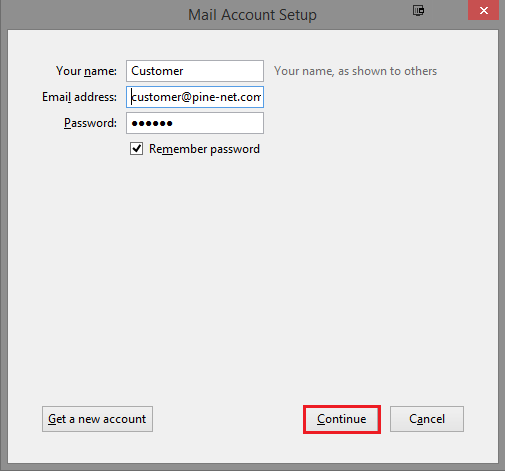 On the Mail Account Setup, enter Your Name, full Email Address, and Password. Click Continue to proceed. The Mail Account Setup will attempt to verify the account. Click Manual Config button. Your Name – This is the name that will appear in the From field of messages you send. E-mail Address – Enter in your entire email address (e.g. customer@pine-net.com). 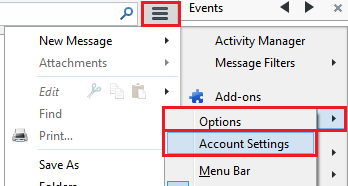 Account Type – Select IMAP from the drop-down menu. User Name – Enter in your entire email address (e.g. 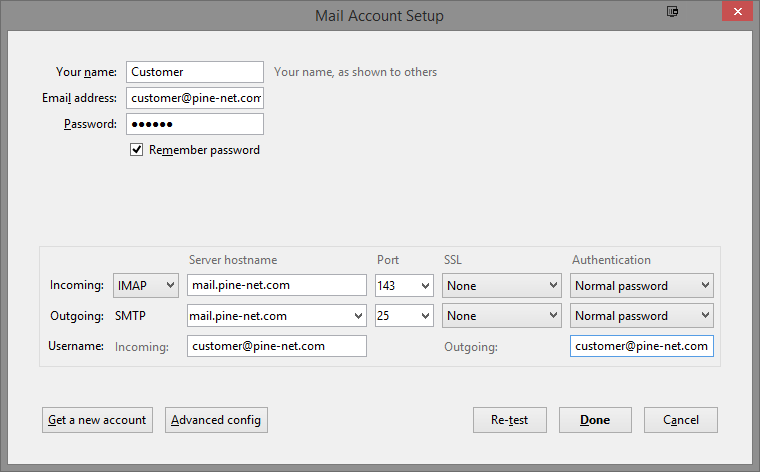 customer@pine-net.com). Password – Enter in the password for the account you’re setting up. Right-click on your email account and select Subscribe. Select any folder you would like to subscribe or click the INBOX checkbox to select all. Click Subcribe to begin syncing. 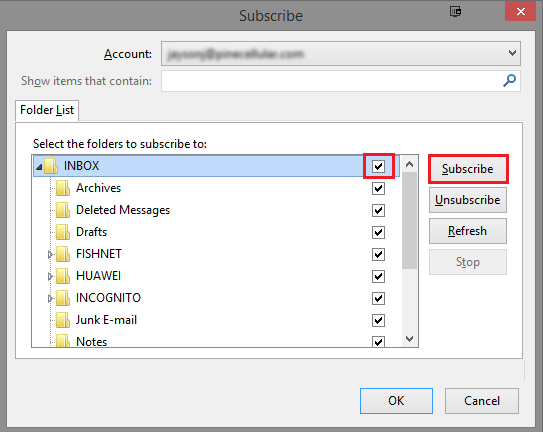 To Unsubscribe to any folders, repeat the following steps and select Unsubscibe instead.. Note: If you’ve created any new folders through webmail and they aren’t displaying, right-click on your Inbox or top level folder of your email account and select Update Folder List.